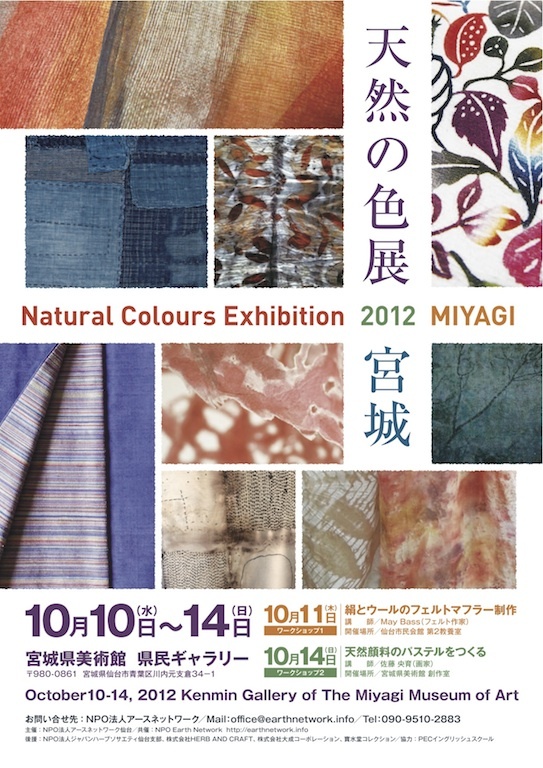 Earth Network presents its 5th annual exhibition on natural colours in Miyagi prefecture this year. It is located in the Northeast of Japan and has valuable natures and traditional cultures. The colours of plants, insects, soil, and stones will meet there for five days. We are also delighted to introduce the works of the artists and researchers from France, Australia, New Zealand, Canada and USA who are connected with us at the symposium or workshops. “ Relationship between human and nature” – the new approaches of natural dyes and pigments by the creators both within Japan and abroad will be exhibited. Poster presentations and workshops will be accompanied too. · Michel Garcia gave lectures and workshops at the “Forum on Natural dye with environmental consideration” in Hokkaido, Takasaki, Tokushima and Hiroshima in 2000. He will not be able to attend to the exhibition this time, but his latest research and video image of his studio will be presented. The number of Japanese exhibitors –25. We will introduce their websites or blog pages later. Oct 11th Nuno felt making workshop by May Bass at Sendai shimin kaikan. * May Bass has previously visited to Japan in 2009 and learned shibori in Kyoto and Fukuoka. 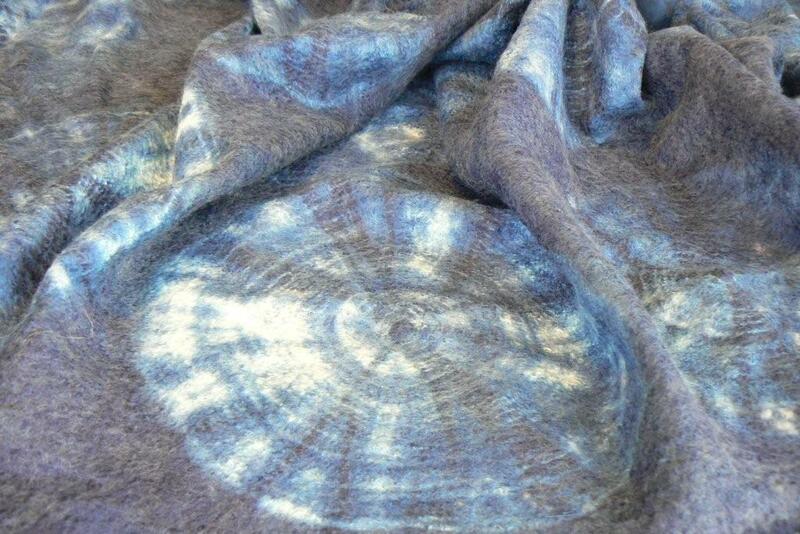 She expanded shibori on her nuno felt and exhibited in ISEND 2011 in France. 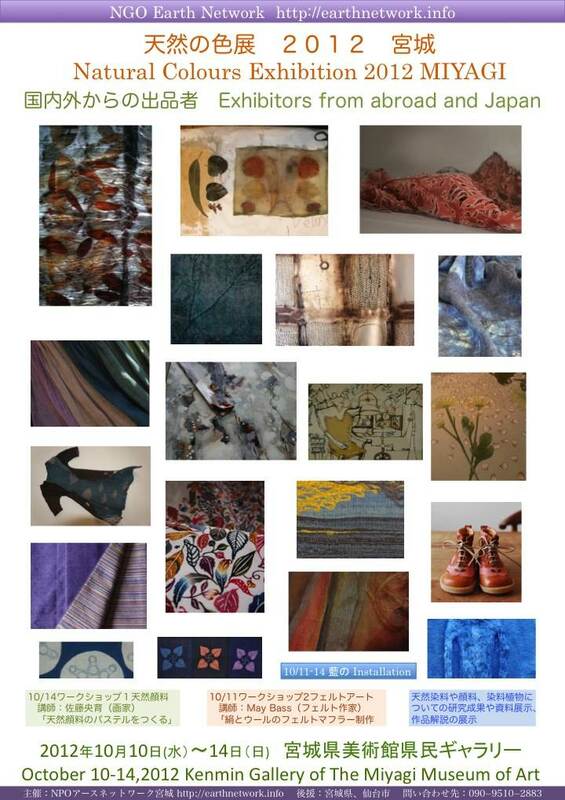 Please check “Science & Art of Natural Dyes” on Facebook!